I get a lot of emails from prospective entrepreneurs looking to start an ecommerce business. 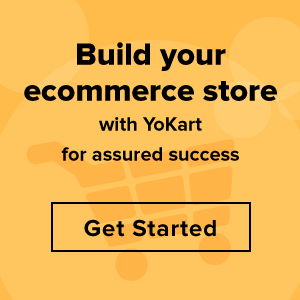 While giving them a demo of YoKart, one question that frequently notice clouding their mind is that how will they manage to bring customers to their website. Forget sales, profits, or returns, the first thing that a prospective entrepreneur is worried about is getting visitors to the website. After careful analysis of the current market dynamics and trends, I have come up with an ecommerce marketing plan that can bring over 50,000 monthly visitors to your ecommerce website. Yes, you heard it right! This marketing plan will take your ecommerce business from 0 to 50,000+ monthly visitors in 2 years. If you think this number is exciting then let me also tell that you can end up generating more than $750,000 in revenue by the end of the second year. Now, you might say that I am speaking over my head, and my numbers are just hypothetical. To prove my point, let us first do some number crunching. This is how I arrived at the magic figure of $750,000. According to a recent study by RJ Metric, the average lifetime value of a customer is $108/year. Let us be conservative, and say that the average lifetime value of your customers is less than half the market average – around $50, just because you are a new business. See, generating $750,000 in revenue just from new users is not that difficult if you have a perfect ecommerce marketing plan to bring sufficient traffic to your website. Let us now take a look at the 7-step framework that you need to follow in your ecommerce marketing plan. The first and the foremost step towards framing your ecommerce marketing plan is to identify and understand your end goal. If you do not know your goal, then it will be difficult to draft the whole marketing plan. In this case, your goal is to grow your traffic from 0 to 50,000 unique visitors a month. It is not about sales or revenue in the first place; as they will all follow once you achieve the target monthly visitor numbers. So, just focus on that, rest will take care of itself. This will help you identify exactly which aspect of marketing you need to incorporate in your strategy at a given point of time. Once you know what your goal is, you need to understand the requirements of your end users; i.e., you need to define the ‘buyer persona’ to be enable to deliver the right message at the right time. Most startups usually assume that they already know their customers’ need. This is one of the biggest mistakes that would eventually make you aloof of the issues faced by your customers, thus, hindering the engagement between you and your prospective 50,000 monthly visitors. 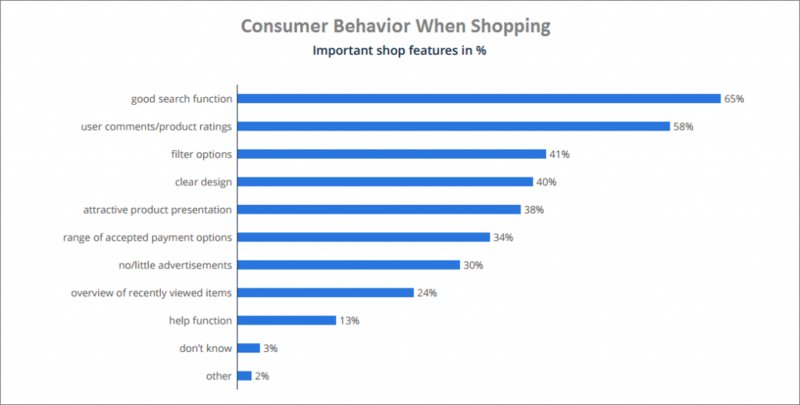 Start with taking surveys and taking customers feedback on what are their requirements and what features they would like in your product/ecommerce store. This would offer you hard data about your prospective customers. Another thing to keep in mind is that your primary target audience is not all your audience. While defining buyer persona, you would only be targeting a set of people using several filters like age group, male/females, working class/homemakers, etc. So, when actually implementing the marketing plan, also consider customers who are at the edge of your buyer persona in order to attract some additional traffic. There is a saying, “keep your friends close and your enemies closer”. In business, it is about the importance of being aware of your competitors, and their services. A good research about your competition will help you find out what they are offering and understand how you can provide a better product. Many startups make the mistake of ignoring their competition while only focusing on their own service. The best practice should be to find weaknesses of competitors and build your strengths upon them. For example if the competition is not offering mobile apps or free shipping, then you can add those features into your product to have an edge over them. Now that you have an idea about the strengths and weaknesses of your competitors, it is time to out-maneuver and out-rank them on search engine. This is because for an online business, the bulk of the traffic comes from search engines. If you do not have a good presence on the search engines then it will become difficult for you to achieve your goal of 50,000 monthly visitors. So, you need to find key phrases that your prospective customers use when they search for the products you offer. This will allow you to easily tap into that bulk of the traffic. While doing a keyword research, also keep a check on associated keywords that Google suggests. This will enable you to appear higher in results for an extra set of customers. Okay, so you have got the keywords that you want to target, but also need to leverage them, i.e. creating useful content based on them. Your prospective customers would be having a lot of queries and questions. Creating useful content that solves those questions will allow you to circumvent the competition and funnel the traffic to your website. This involves going through each keyword directly on Google and draft a plan to topple the top five spots. You can do this by identifying the relevancy and usefulness of the content of the top five links. This will help in creating useful content, which ultimately will enable you to outrank the competition. Create a blog, add a help section on your website, add review section (for user generated content on your website), and also invest in visual content. Just because you have good content, it doesn’t mean that traffic will start pouring-in on your website on its own. You need to promote it and give it some boost, and then see it expand on its own. Studies have shown that you should spend as much time promoting content as much you spent creating it. And in current times, what better online channel is there than social media to promote content. Today, most ecommerce websites leverage social media to connect with their customers, to acquire new ones, and even to sell products. As your social media pages get more and more traction, it will also help in improving your website’s search engine ranking, which will provide a further boost in the traffic. Without a competent ecommerce solution, devising such a marketing strategy & achieving the feat of 50,000+ monthly visitors is rather impossible to achieve. A good ecommerce software solution that offers key marketing features to incorporate above-mentioned marketing practices is a must. Additionally, it should also offer features that enhance customer experience, and allow sellers to convert visitors into buyer, in order be able to generate the targeted revenue of $750,000 from those 50,000 monthly visitors. YoKart is one such platform that not only has the credence to achieve that mark but also expand your ecommerce marketplace further to take the numbers into millions of dollars. It has a host of features including social media integration as well as SEO friendliness that will aid you in achieving 50,000+ monthly visitors. In current market dynamics, launching an ecommerce website is the handiest profitable business idea. However, to ensure that profitability reaches in thousands of dollars, you require an effective ecommerce marketing plan. 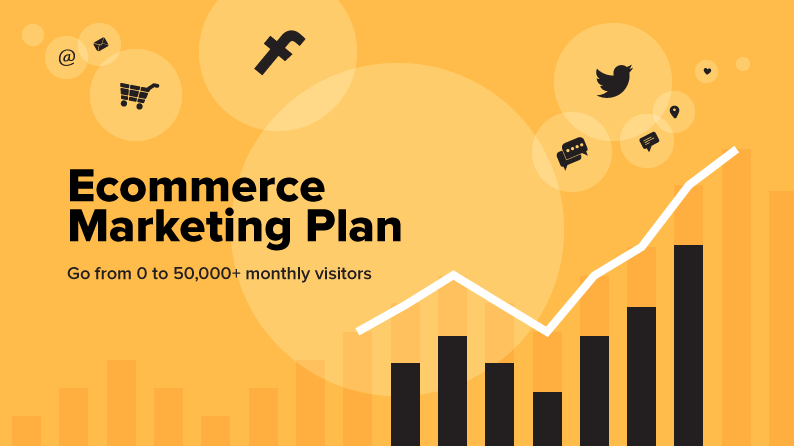 If you decide to start your own ecommerce website, then using this ecommerce marketing plan will ensure that you meet your target of 50,000+ monthly visitors. Furthermore, using powerful technology solution like YoKart will ensure that you easily convert those 50,000+ monthly visitors to over $750,000 in revenues.